At present there are seven SOS Children's Villages, six SOS Youth Facilities, seven SOS Kindergartens, six SOS Hermann Gmeiner Schools, three SOS Vocational Training Centres, seven SOS Social Centres and five SOS Medical Centres in Ethiopia. SOS relies on the kindness and generosity of Canadians to be able to provide a home for the most vulnerable children of Ethiopia. Please help us ensure a loving home for every Ethiopian child. Sponsor a child in Ethiopia now. 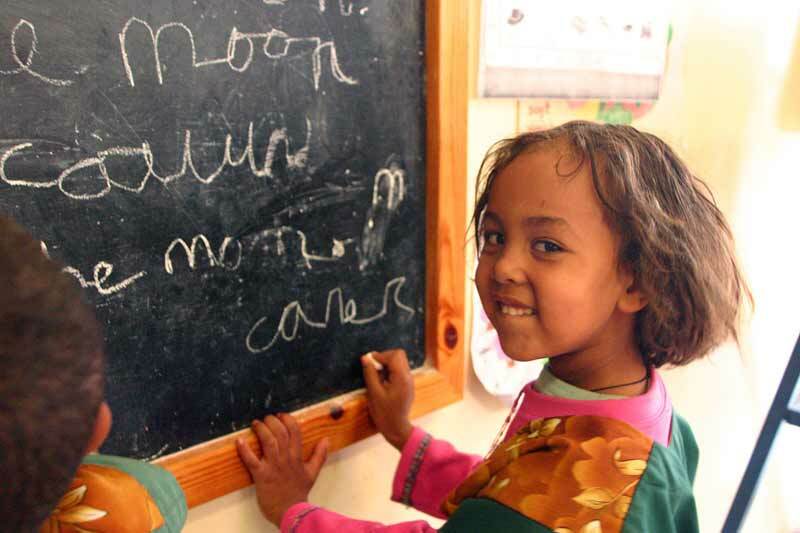 SOS Children's Villages supports hundreds of children through its activities in Ethiopia. At present, the organization is operating in Jimma, Addis Abeba, Harar, Hawassa, Gode, Bahir Dar and Makalle, on the Ethiopian-Eritrean border. SOS Children's Villages supports children and adolescents by providing day care, education, medical services and vocational training. SOS Children's Villages in Ethiopia is way, we try to strengthen families and keep them from breaking up. Children who cannot be cared for by their own families can find a loving home in one of the SOS families. Apart from a five-year-occupation by Mussolini's Italy, during which the country formed part of Italian East Africa, Ethiopia has never been ruled by a foreign power. Due to its geo-strategic importance, the Sub-Saharan country has been considered a major regional ally of the United States. One of the nation's most prominent citizens is former emperor Haile Selassie. He reigned over Ethiopia from 1930 until his ousting in 1974 and marked the country's political history more than anyone in the 20th century. Selassie issued a proclamation that outlawed slavery in his country and also played a major role in the creation of the "Organisation of African Unity" in 1963. The economy in Ethiopia heavily depends on agriculture, which in turn relies on precipitation. The country is marked by a negative trade balance: the volume of imports is roughly three times that of exports. Coffee beans remain the most important Ethiopian export commodity. The country has been suffering from a phenomenon commonly known as "Brain Drain": many educated professionals who studied at Ethiopian universities are leaving for a better life in the West. In spite of the positive economic trend that this country has seen over recent years, the nation of 83 million remains one of Africa's poorest. Ethiopia is one of the poorest nations in the world. The country's Gross Domestic Product (GDP) per capita is roughly 1/135 that of the United States. Periodic droughts and famines, a long-lasting civil war and a border conflict with neighbouring Eritrea have taken its toll. Only 1/6th of the country's population is economically active, meaning that the vast majority of Ethiopians do not dispose of a regular income. On average, Ethiopians have a life expectancy of only 54 years. Although there has been some progress lately with regards to alphabetisation, nearly two-thirds of Ethiopia's population remain illiterate. Almost half the country's population is undernourished and 39 per cent face a life on less than 1.25 US dollars a day. In rural Ethiopia, the number of people who live in extreme poverty is particularly high. The health situation in the country is rather precarious: according to the World Health Organization (WHO), Ethiopia has only 3 medical doctors per 100,000 citizens, one of the worst figures in Africa. Only one in three Ethiopians have regular access to potable water and the sanitation coverage is very limited. Droughts occur frequently in Ethiopia and constantly drive millions of people to the brink of starvation. The Human Development Index (HDI) for Ethiopia is considerably lower than the Sub-Saharan average. Demographically speaking, Ethiopia is a very young country: around 45 per cent of its population are less than 14 years old, a fact that can partly be attributed to the country's low life expectancy. The country's infant mortality rate is at a staggering 109 per 1,000 live births - one of the highest in the entire world. Only 6 in 10 births are attended by skilled medical staff. An estimated 830,000 children in Ethiopia have lost one or both of their parents due to AIDS. 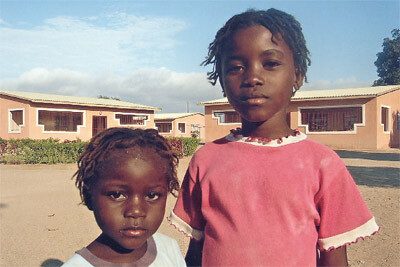 A large number of these children lack parental care and a caring family environment. Thousands of them are roaming the streets of the country's urban centres without having a place to sleep. They engage in petty crime or beg in order to survive. In Ethiopia, access to food and clean drinking water is still a problem for thousands of young children and adolescents. Roughly 40 per cent of all Ethiopian children below the age of 5 are chronically undernourished. Although the number of new HIV infections in Sub-Saharan Africa has noticeably dropped over recent years, HIV/AIDS remains a major cause of vulnerability for many Ethiopian children and their families. About 34 per cent of worldwide HIV infections are concentrated in only 10 African countries, including Ethiopia. For a fear of social discrimination, many Ethiopians decide to keep their HIV status hidden. The Ethiopian primary school attendance rate is comparatively low at 45 per cent. Many families cannot send their children to school because of financial constraints. However, without a basic level of education it is hard to break away from the vicious circle that most orphaned children are entering at an early age. Without education, they are very likely to end up living a life in poverty once they become adults, neglected and marginalised by society.